It’s a battle to death between these plastic lo-fi miniature beauties for the 110 lo-fi crown. But which one wins and which one is consigned to dust ? Lets load up some expired Konica film and find out as they go head to head. 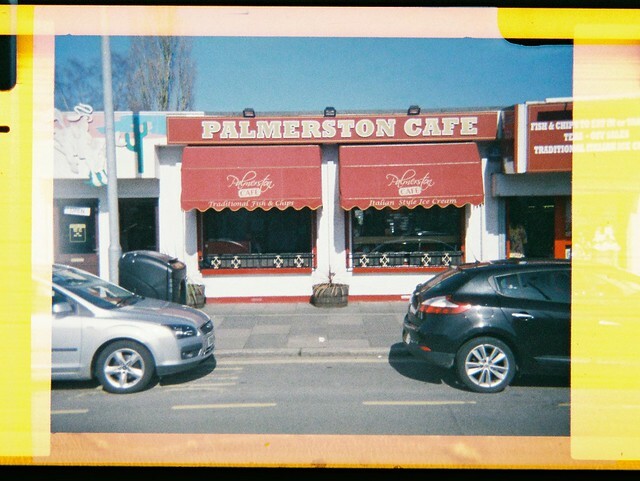 Lomography (LSI) deserve a big pat on the back for helping bring back 110 film and continuing to sell it. Naturally they also gave us their take on 110 cameras with mini versions of their Diana and Fisheye cameras. But are they any good especially when you can buy vintage lo-fi 110 for peanuts ? We’ll look at the ultra cute Diana Baby 110 here. If you know your Lomo cameras the pedigree is obvious. 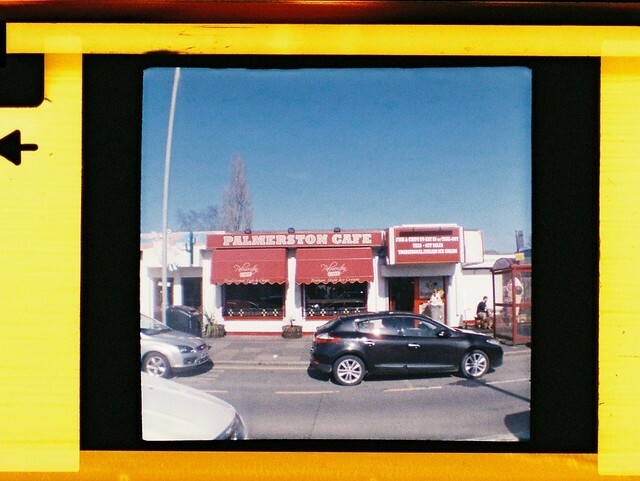 If not the pre Lomography Diana and its clones were cheaply made medium format cameras that often were given away as promos in the 60’s and 70’s. 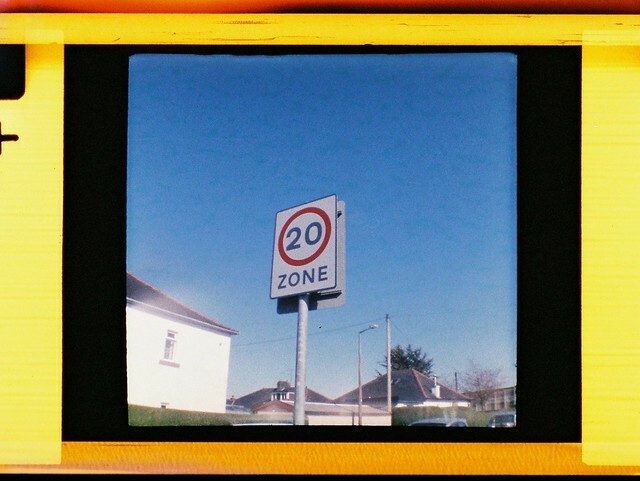 They developed a cult following and helped drive the lo-fi movement long before the modern term lomo existed. LSI brought the Diana back in 2008 but with nobs on. It had the same simple design but with 21st century camera system dynamics with interchangeable lenses, film backs and other accessories. The Diana F+ as it was known spawned two other film format versions. 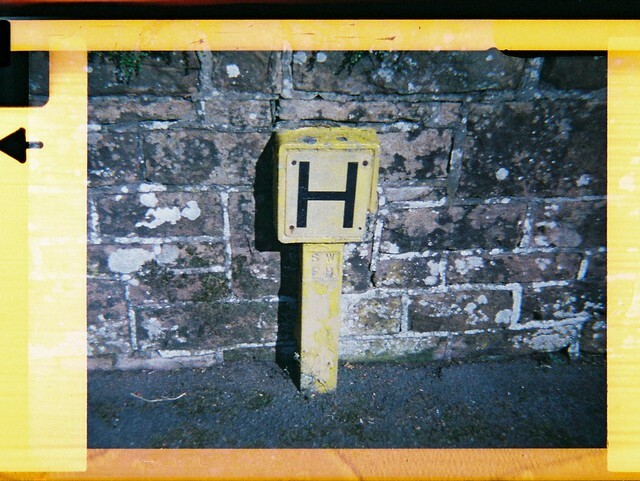 First the 35mm Diana Mini which I have a love hate relationship with and has been pretty popular. We’re more interested here in the latest one – the Diana Baby 110. This shares the same classic looks and actually has interchangeable lenses and a PC sync socket for flash. 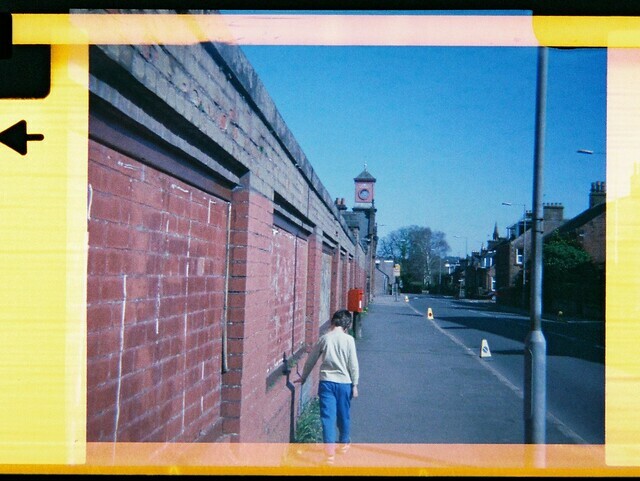 But we need to measure it against an actual lo-fi camera from the golden era of 110 film. Enter the Haking’s Halina Micro 110. I’ve reviewed this before but this a typical very cheap basic 110 camera that dates from at least 1986. 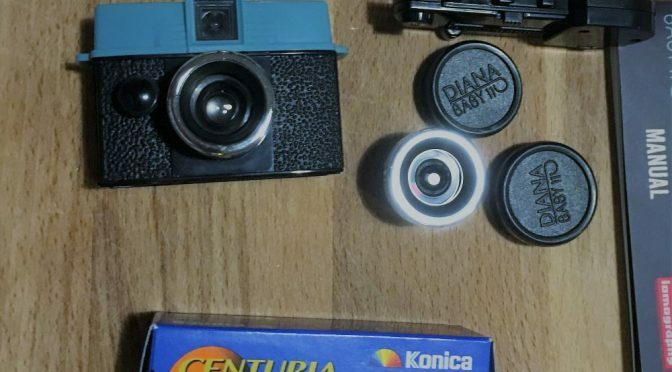 You can find under various guises (notably the Ansco 50 in the US) and re-branded as a freebie give-away camera too (I’ve seen a Kit-Kat version). It is a product of its era made by a company with a long history of building cheap cameras. An easy win for Baby here. Oozing retro charm even when you take of the protective display back and put on the actual in use back. Such a shame that you can’t just take off the back and load like the Halina. It is only available in classic blue/black and as a blingy gold version. The Halina is more minimalist and erm.. utilitarian. Practical but not likely to launch a thousand ships. You’ll still get folk asking about it but not in such a cute manner. 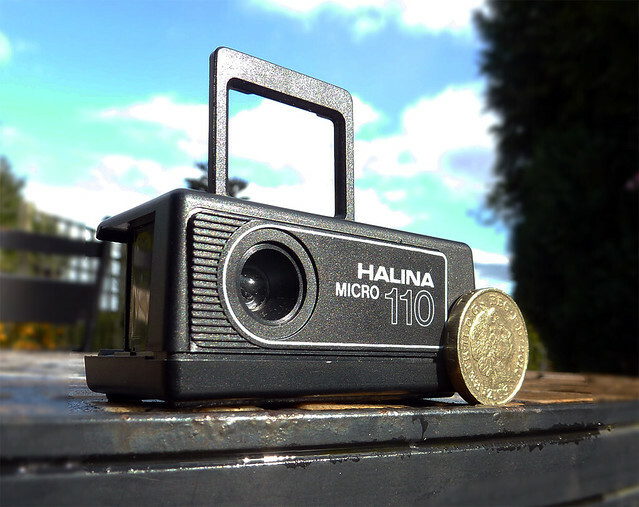 The Halina is so much smaller (boxed it’s actually a bit smaller than a 110 cartridge box). Various colours and branding logos exist. Baby starts out where it finished the last round. It is the only in production 110 camera where you can switch lenses (worth noting you can do this mid cartridge). As well as the standard 24mm 1:8 lens you can also get a wide 12mm 1:8 lens. Currently LSI sell a both lenses with camera pack for the same price as one lens. It also allows you to switch from 1/100 sec shutter to a largely pointless bulb function. The shutter is independent of winding so you can do multiple exposures if you want. It also has a PC sync slot for flash and although it doesn’t have a formal tripod mount there is a screw point in the base for LSI flash kit that I guess could be modded. You’ll need to shell out or mod that point if you want to use flash. So the Halina mounts a desperate last minute defence but the Baby still takes the round by a few points after a judges decision. If the Halina was starting to slip, it gets its second wind here. For such a simple, small camera, it is so well thought out. It is incredibly small both with and without film. There’s no messing around with a loading back like the Baby. Simply remove the rear cover and clip in the 110 cartridge. The shutter button on top reduces shutter shudder and all you need to do is try to keep your fingers out of the way of the lens. The only issue is loading and unloading the film does at time leave you with a feeling it might just exploded with a snap. The baby is probably a bit more robust but is so much more fiddly in use. You’ll need to change the back before use and although small is more likely to get stuck in your pocket. The lenses are easy swapped however and you can change them around mid roll. However the real problem is the shutter switch. Like the bigger Diana cameras, this is on the side of the lens barrel. Now there’s a reason more modern cameras have a button on the top plate. Shutter shake. The the F+ and mini this can be an issue but their larger camera and frame size are more forgiving. To use a flash you’re also gonna need to invest in lomography’s dedicated bracket or mod one to fit the socket on the base. But as it’s a PC sync socket you’ve got tons of retro flash units to choose from. Points for the Halina ? They are in someways similar and others so different in results. The Halina is full frame (actually spilling into the edges). The plastic lens is sharpest around 1.5-5 metres and not surprisingly best centrally. That said it is capable of making some pleasing abet soft images. Although its shutter button should mean less shake you do notice a difference between some long shots which must be down to shake. There’s a bit of pincushion distortion going on but not bad for what it is. 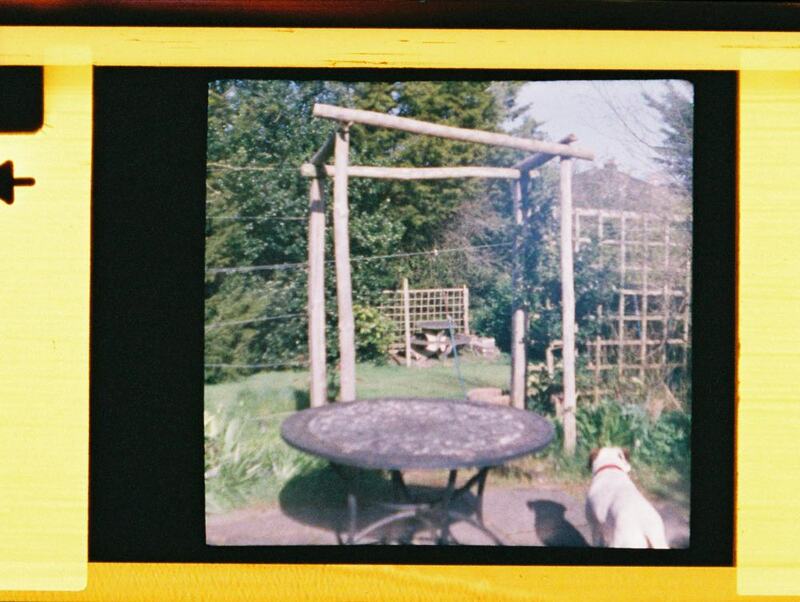 The frame is square to match in with the Diana (the mini does the same trick with 35mm). Beyond that boy does it depend on what lens you use. The standard 24mm is a dog’s dinner. 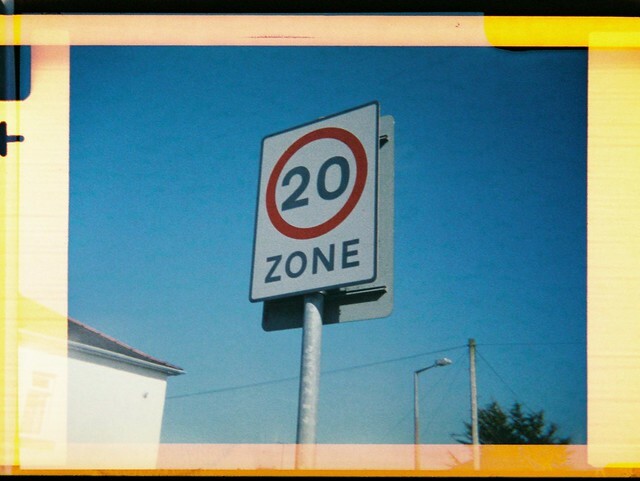 I’m sorry but it is just too soft and blurry to be useful. All the shots were that bad and that’s why you only see one here. The 12mm wide is however a lot better and much more a contender. Totally weird as it isn’t the standard lens (so if you do buy go for the twin kit). To me it’s still a bit softer than the halina but not by much and seems slightly sharper beyond 5m. The cropped frame is smaller which will be an issue for enlarging but seems more consistent over the frame. It has pretty marked barrel distortion but that adds to the appeal to me. It is slug out match between the cheaper and better though out Halina and the more cutsie Baby. Just how duff the normal lens is even by simple plastic lens standards is disappointing. But the wide lens save things quite a bit meaning the twin kit is essential. There are other lo-fi rivals. There are tons of promo 110 cameras on eBay. Given away in cereal boxes or with beer or with a load of other things. some of these may well be Halina Micro 110 in disguise. 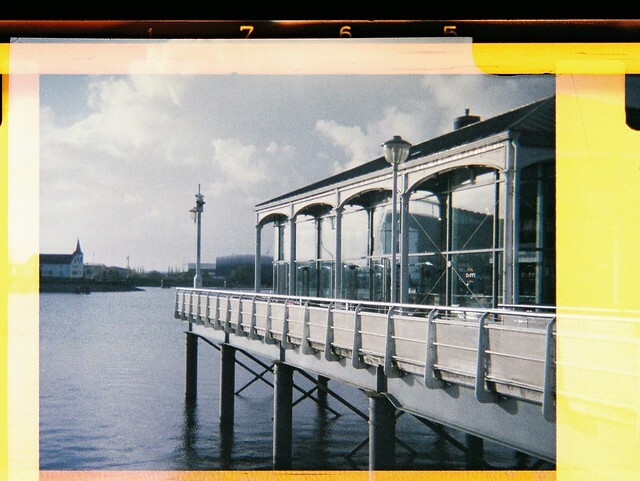 There’s a Holga micro 110 which can still be sourced but at prices to rival a second-hand baby 110. Superheadz (arguable LSI biggest active rival) makes a load of plastic 110 cameras that may be worth a nose. Of course you could upgrade a bit for any one of a thousand low end 110 cameras in the minox style made by Halina, Hanimex & a host of others including Kodak !!. these have fixed focus and lo-fi abet glass lenses. Many offer built in flash and dual lens (Halina STB for example) and can be easily be yours for a few quid. 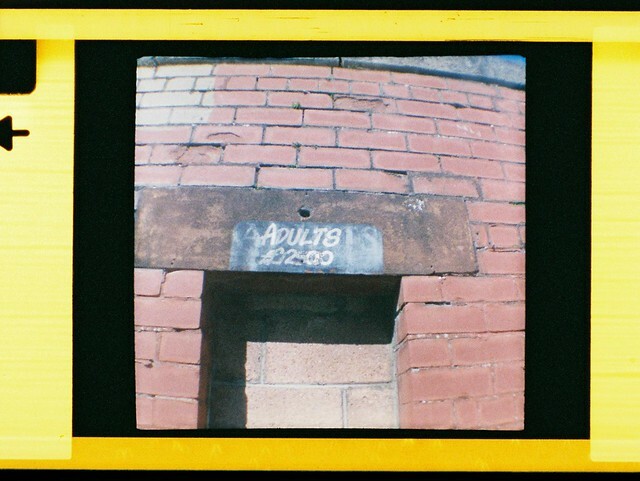 A few quid more starts getting you into semi-decent 110 cameras like the minolta pocket autopak 460T and its sisters. Hi, Alan. 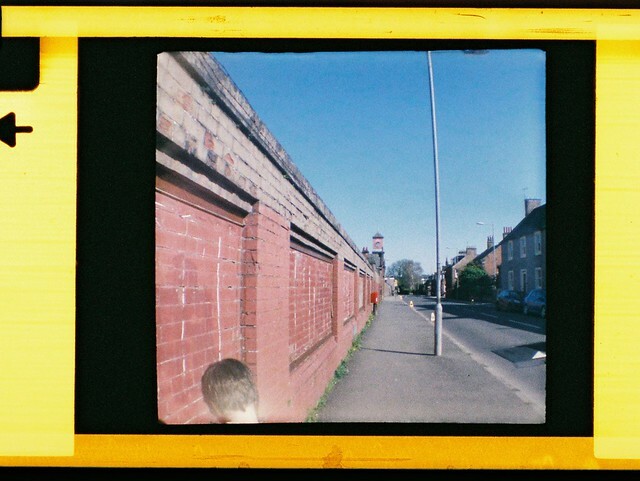 You have to be applauded for the time, and effort, you put in to show us just how lo-fi, read “crappy”, the 110 format was, especially used in many throw-away cheapo plastic cameras. Sadly, not even the likes of Canon (110ED), Minolta’s two reflex models, Pentax’s 110 slr, (superb lenses) and some of Agfa’s range-topping models with their four element Solinar, could overcome the serious limitation of the film and format. 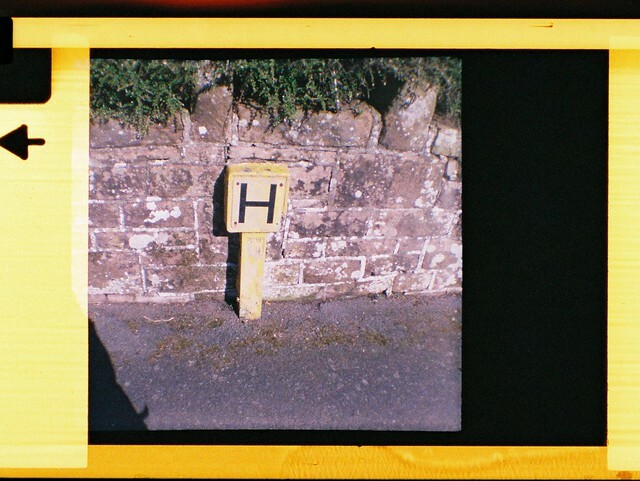 126 could have been better, had Kodak not adopted low precision plastic mouldings for their cassettes, thus making film flatness an impossibility. Kodak, in its twilight years foisted crappy formats, 110 or even worse, Disc, or technically too advanced with little to no advance in imaging quality, APS, on to the unsuspecting public that by the time small compact digital cameras at reasonable prices became available, Kodak had long since hammered in the first nail in its coffin. Nice plug for the processing lab to see the trouble they take in getting the best scans for you.